With Gin Day I decided to do something a little different. I decontructed a classic gin martini. Why? Because EVERYONE and their mother thinks they have the PERFECT recipe for a martini and every single one of them is different. That's because we all experience taste in a unique manner, which explains all those different recipes for a very simple cocktail. 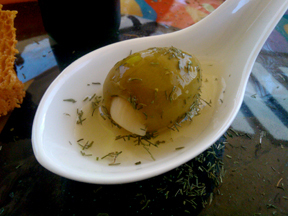 With only two ingredients, the Martini is the simplest of drinks. 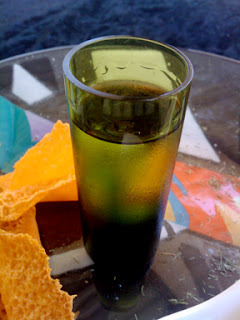 How easy is it to mess up gin and vermouth? Well, actually, pretty easy because for each person the ratio of the ingredients is a very personal experience. 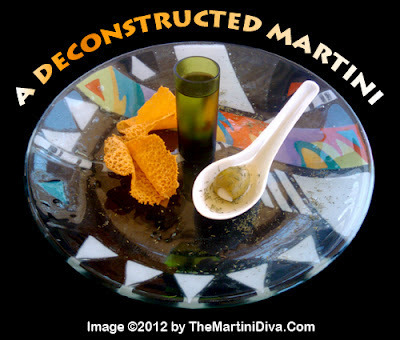 Which is why I've deconstructed the Martini. Now you can serve up a TRUE PERFECT MARTINI every time by simply allowing your guests to adjust the cocktail to their preference as they sip. Problem solved, issue "non", disaster averted, fun had. Yes, posting the recipe was a joke. Leave vodka out of it.